Despite what naysayers have to say about the current state of VR, the truth is that virtual reality is already here to stay in many forms which most people cannot even comprehend now. The VR revolution is well underway, and is spearheaded by VR Headsets of all forms, sizes, and belonging to separate price points. VR Headsets, in their own way, are the closest to achieving the dream that virtual reality as a technology has been trying to sell over the past few years. 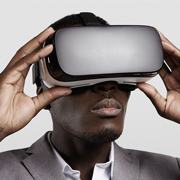 Today, most people already have heard about Oculus Rift, the poster child of VR as we know it. Chief amongst its contenders are HTC Vive, Samsung VR, Sony's PlayStation VR, etc. Although the jury is still out on whether these VR headsets will be successful or not (most of them haven't even been released at the time of writing this article! ), it is clear that by the end of the year, the world of virtual reality is going to see sweeping changes because of the way people accept, or reject these headsets. In this article, we will compare some of the more important features of these VR headsets, and help you choose whatever suits your personal interests the best. There is no doubt about the strong competition which Oculus Rift vs. HTC Vive vs. PlayStation VR offers. Arguably the most famous of the VR headsets, Oculus Rift, a product by Oculus VR and currently owned by Facebook, is the first real VR headset which went into development on the backs of Kickstarter funding. Therefore most people would agree that in such a nascent field, Oculus definitely has the biggest chops when it comes to experience and the ability to deliver on their promise. At the same time, PS VR is no slouch either, as they are attracting a large user base consisting of PS4 owners who are especially interested in gaming. HTC Vive is also continuously chopping at the heels of oculus by promising to release a really high-quality device without any visible downsides. Do you have a budget to splurge? Would you prefer a general VR experience on PS4? Is Audio, along with externally placed speakers important for you? Do you want a lot of social features? Do you have limited space for your VR experience? Are you looking for a complete VR experience minus any caveats? Hopefully the above checklist can help you determine which VR headset suits you best. But at the end of the day, an important thing to remember is that whichever device customers decide to choose, VR will always improve, and with time, as the price associated with VR technology go down, more consumers will be able to afford such VR headsets. Virtual reality is the next big thing, of that there is no question. With so many options for developers, most businesses are at a loss when trying to select the ideal VR development partner. O2I, with its 20 years of experience in the software development field, can help you access some of the brightest minds in VR, and help you bring your VR app to reality. Contact us right away to learn more about our services.